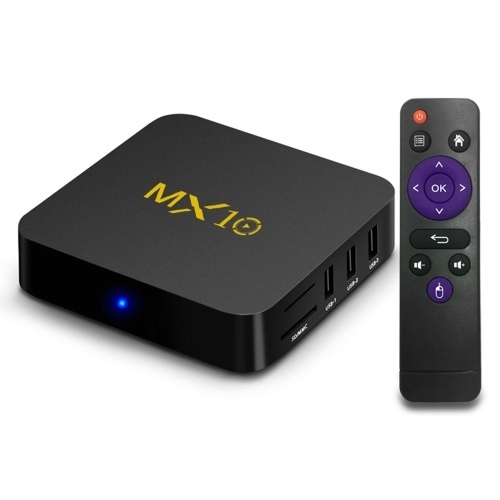 MX10 runs on the latest Android 8.1 System which is perfect in productivity, stability and performance, along with several features and optimizations, delivering an improved user experience. 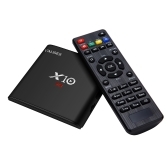 4GB DDR4, 32GB/64GB eMMC Flash and Max; expandable 128GB SD card reader provide more space for richer user experience and ability to run files and games quickly. 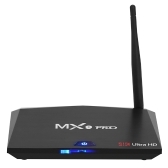 2.4G WiFi, 10/ 100M LAN makes home entertainment easier. 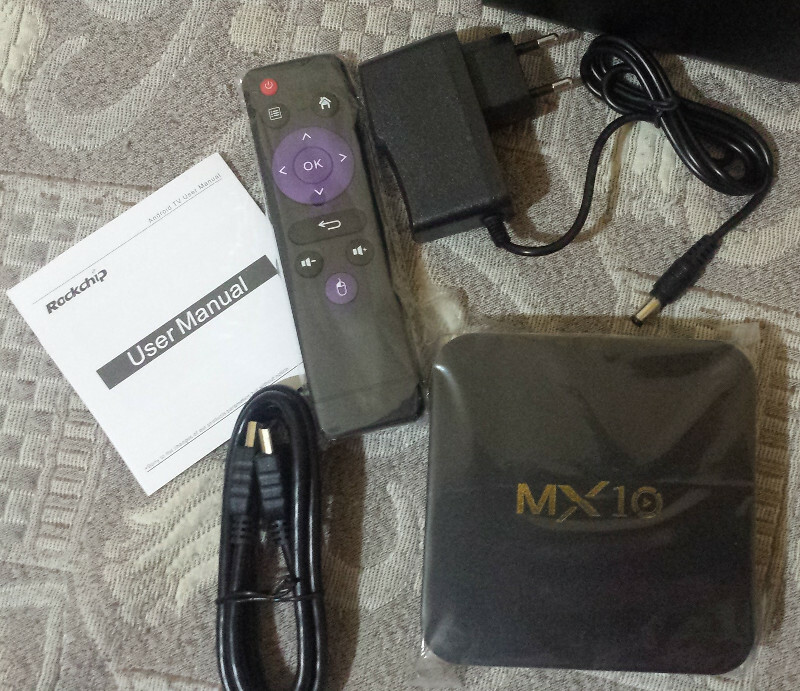 Note 2: The remote controller of the product belongs to the attached and functional accessory. If part of product functions can't be controlled by the controller, please purchase external mouse or air mouse to operate. You will have a better-using experience. 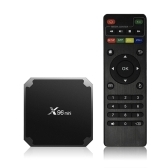 Q How can I put Kodi as a favorite App? 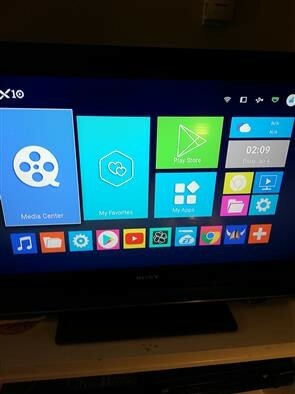 A Please add KODI to your desktop. 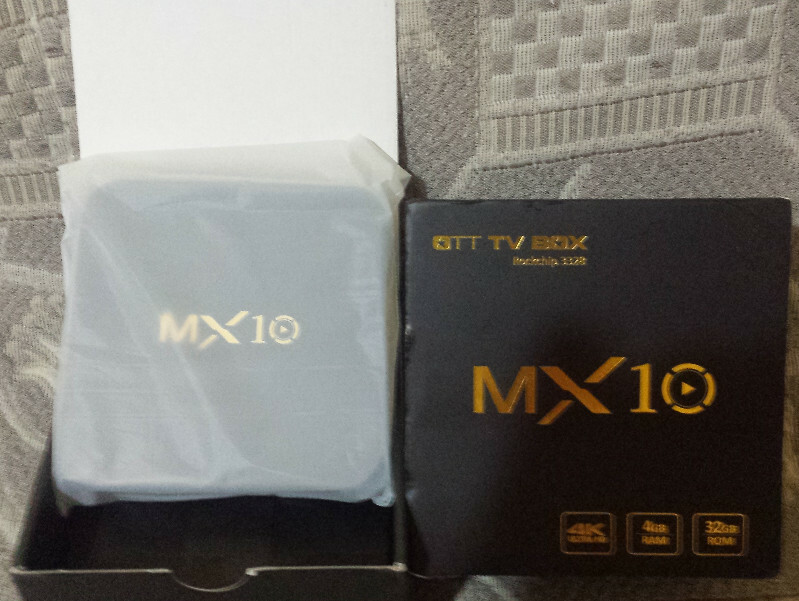 Q Does it support variety Chinese channel and videos??? 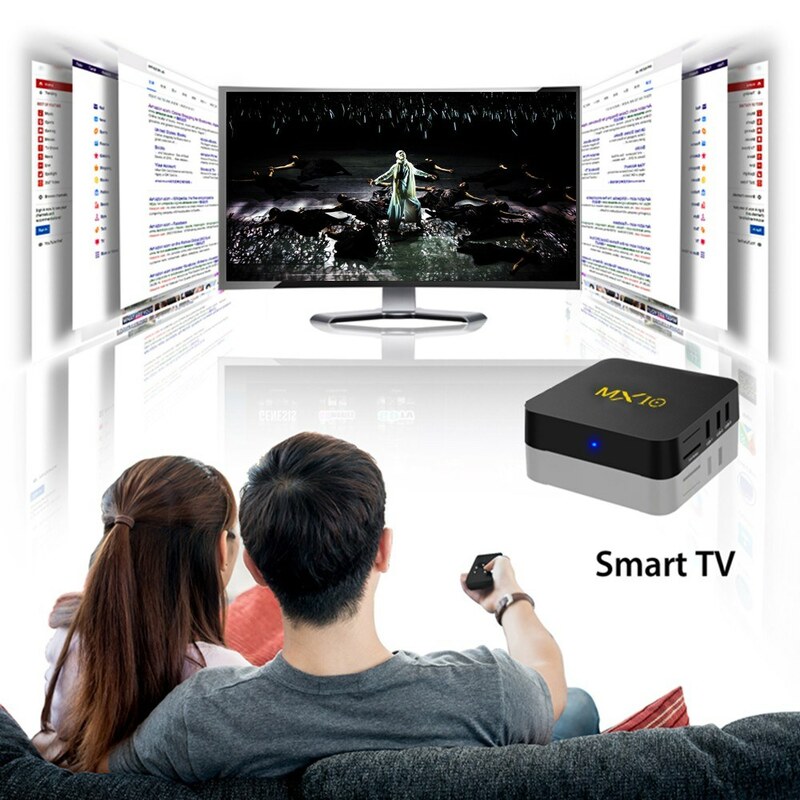 A Hello, as long as the product is connected to the network, you can search for the programs and channels you want to watch, thank you. A Sorry,it does not support connect amplifier with RCA stereo input , thanks. 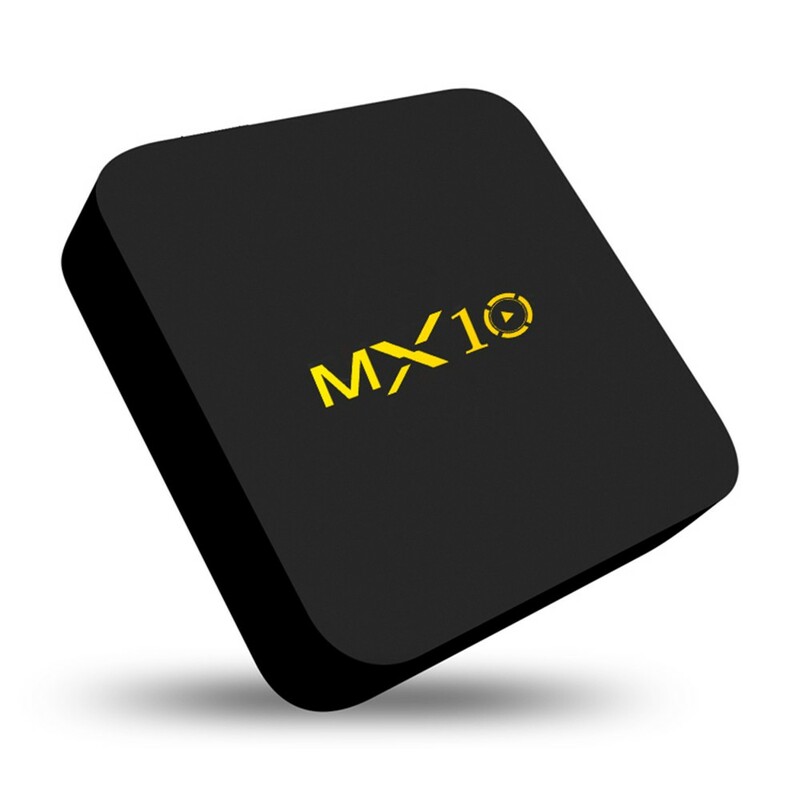 Q does the MX10 8.1 64GB have blue tooth ? if not which one does? A Sorry,it does not support blue tooth. There is no promotion product，thanks. Q Can I get a spare remote control? and , is there a concise operators manual available? A Sorry,we do not sell the spare remote control. The user manual has been sent with the order together,please refer to it. 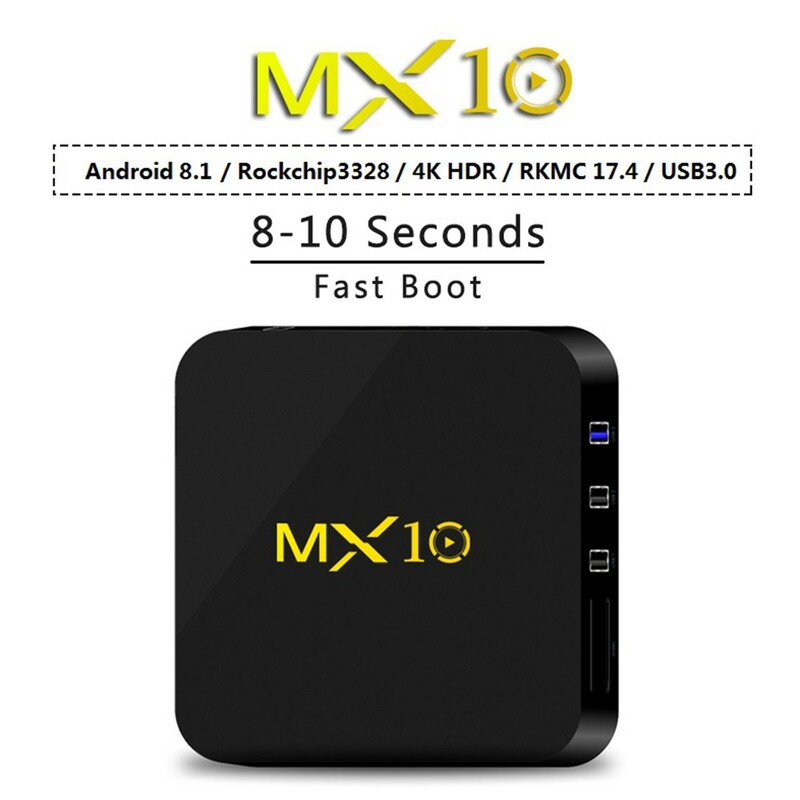 Q Can MX10 Android 8.1 TV Box 4GB outputs display to a HDMI projector? A Yes,it supports HDMI projector,thanks. A Yes, it supports HDMI projector,thanks. 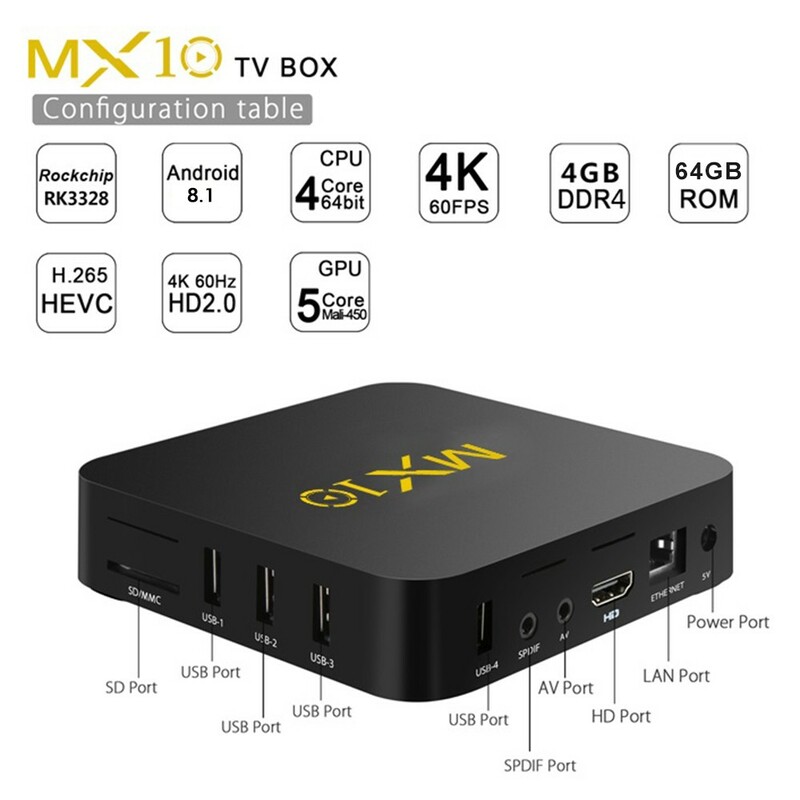 Q Can MX10 Android 8.1 TV Box 4GB / 64GB supports HDMI projector? A Yes, it supports HDMI projector.thanks. A Sorry,it does not support bluetooth. thanks. 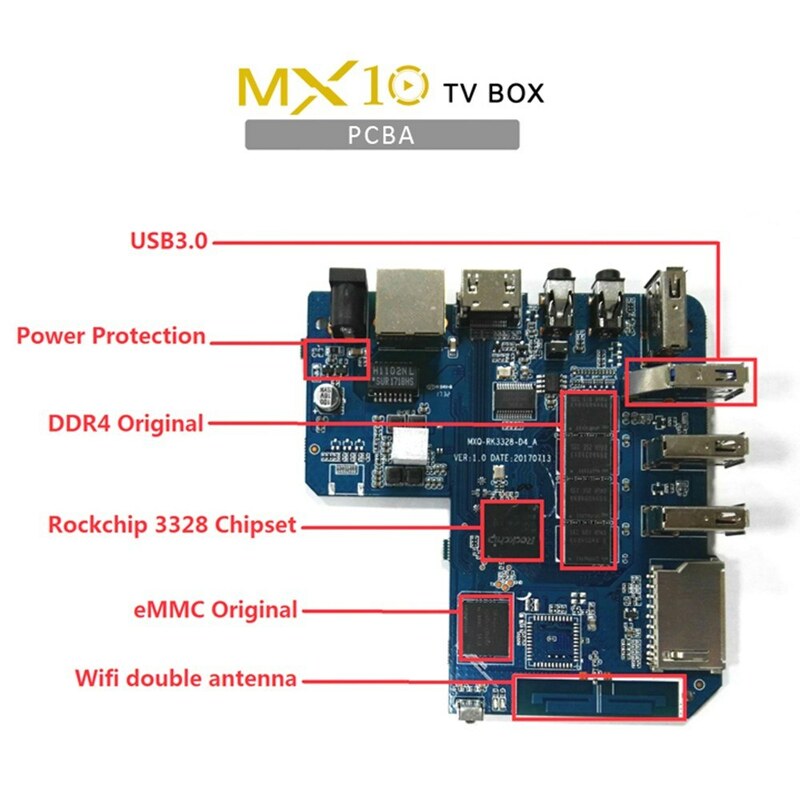 Q Can MX10 cast ipad or iphone screen to the tv? A Yes,if course it can. 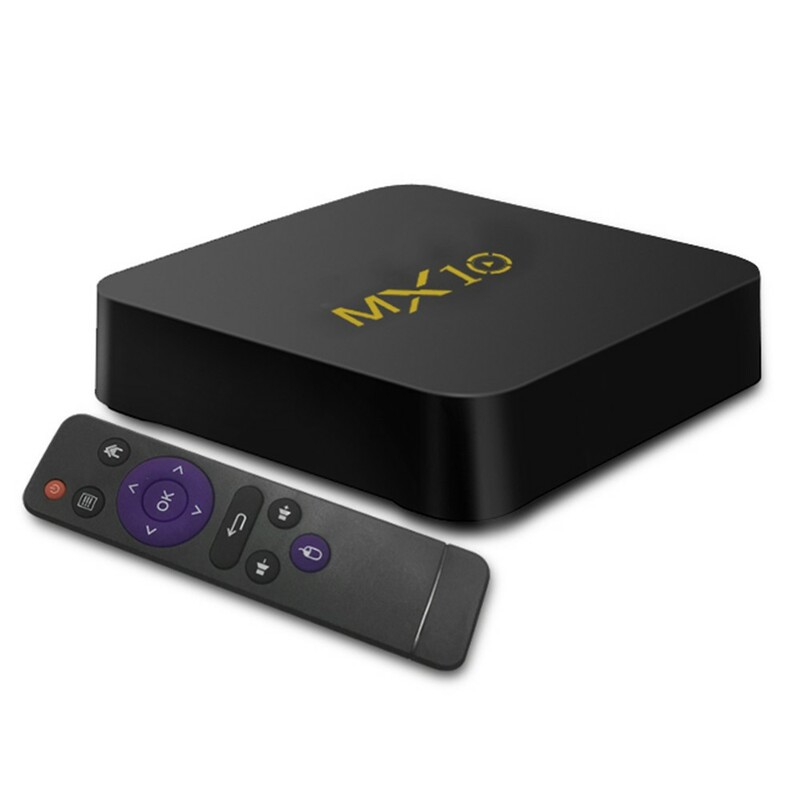 DLNA: Push the video, audio, pictures from phone or network to TV. Very fast shipped ! Received in good conditions , Instaled Kodfi ,works all fein ! Thank You TomTop ! I recomande ! 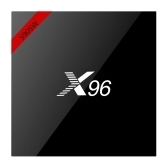 Very easy to setup, boots fast so much better than H96+. I find that the movies and tv shows are so much clear and faster and no buffering. 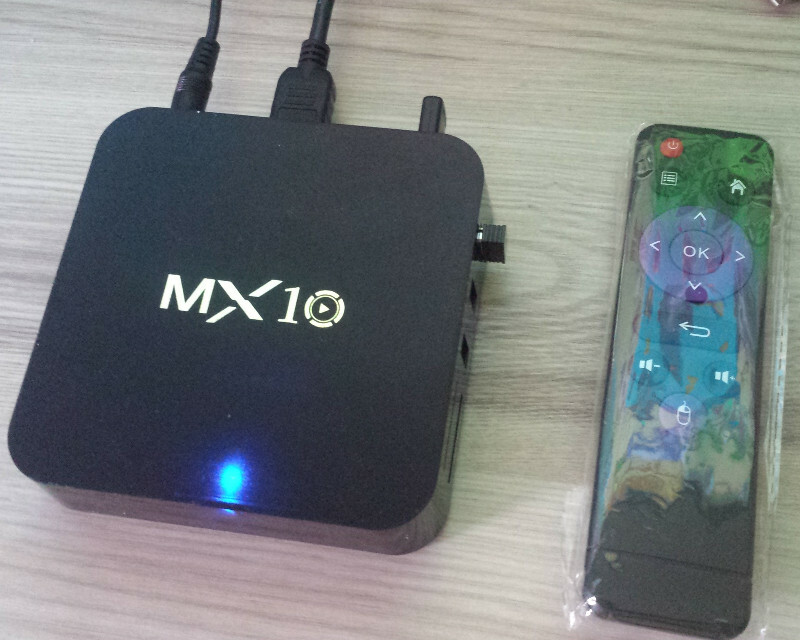 I am so happy I got the 4GB & 64GB MX10 Android 8.1 tv box is the best I used so far. Delivery was super fast! Thank you tomtop for selling such exceptional products and the great sales you have! Received my order beyond the estimated time frame but still happy as I got it in good condition. Thank you Tomtop. Received the product as mentioned above in good condition, delivered within the given time. Value for money. Go for it guys. Once again thanks Tomtop. 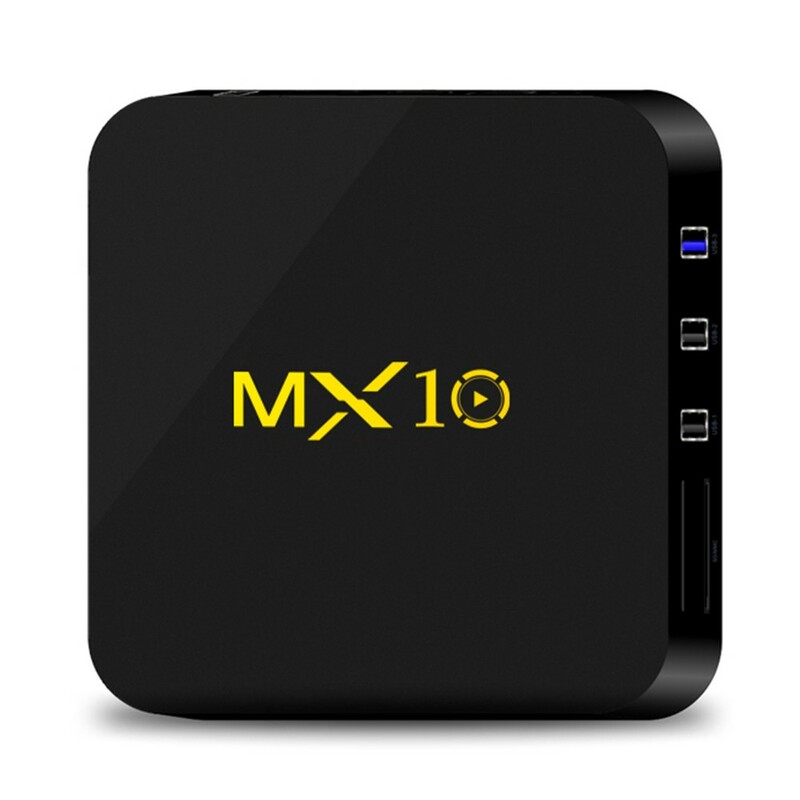 MX10 is a fantastic little android tv box stuffed full of features. Whether those extra features of any use to you is going to need your own personal judgement. Being has big memory is going to be very useful for me. 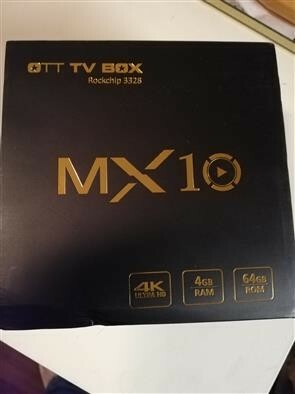 This box has the best specs I could find for one with Android 8.1 and runs better than I thought. 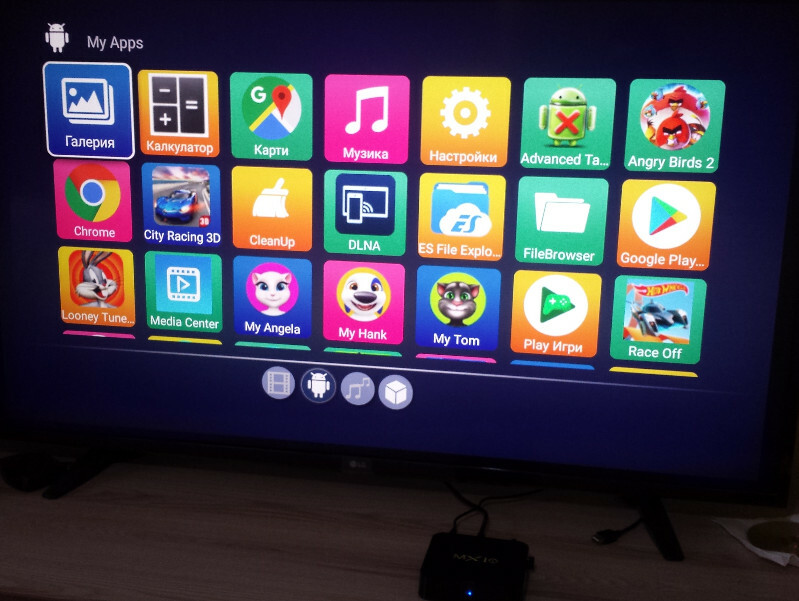 I have had no problems running anything and that's likely due to th 4GB RAM and 32GB of storage this TV box has. 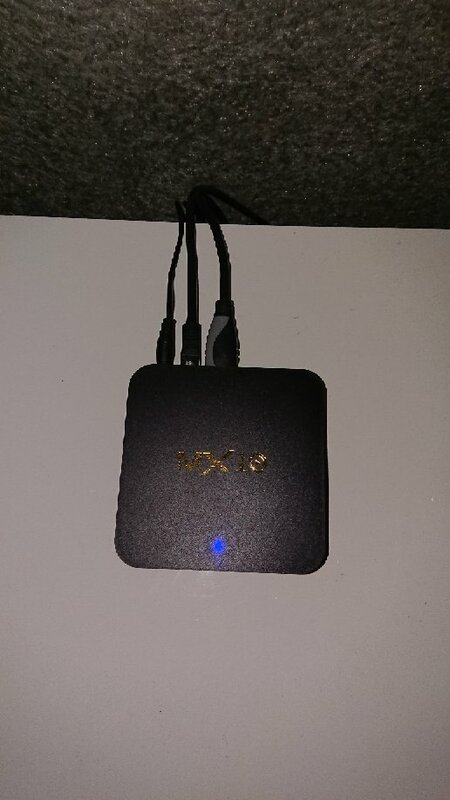 I have it connected with an Ethernet cable for the best speeds and can stream and play 4K videos with no problem. 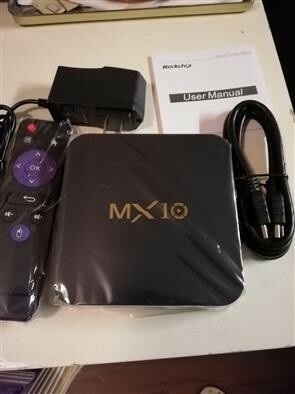 Overall a great buy, especially when paired with an air remote. Good product. 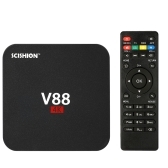 Works fast and can be operated with its remote control, as well as with the mini keyboard (not included). 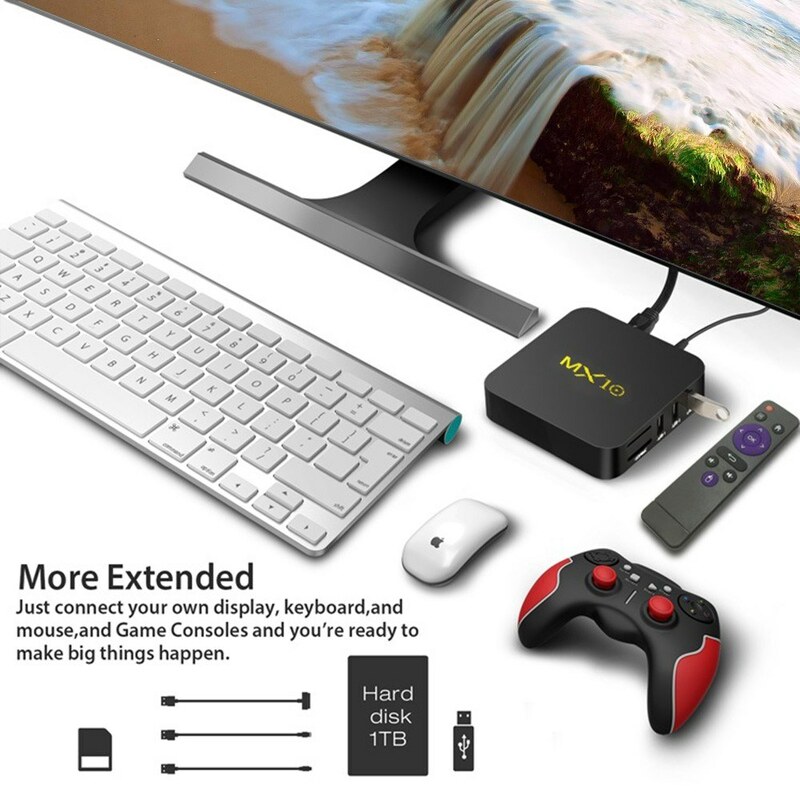 This android TV box works perfectly, provides an excellent picture, and has plenty of USB ports for a keyboard, mouse, etc. Plus, every app I've tried to load on it installs with no problems. So far I really like it. After having several different boxes over the years I can honestly say that this is the best by far. 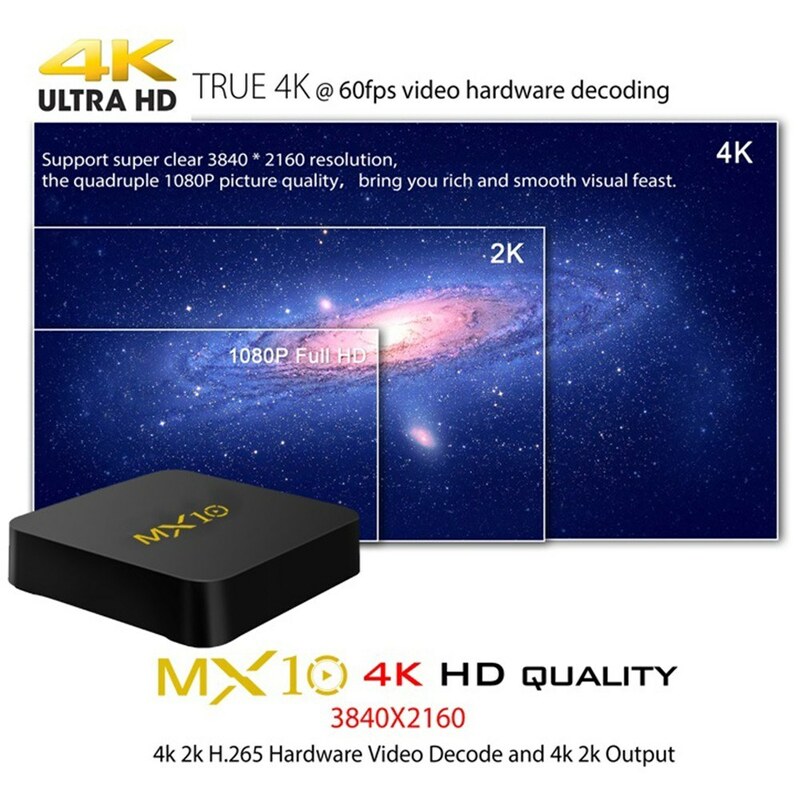 Easy to set up, top quality picture. I love this box! Since I can't afford cable, this box makes me forget I don't have it. It is fast and very easy to set up. image quality is nice. speed enough. too much does not heat. fingerboard mause illuminated. Very responsive and runs fairly quickly so far. Easy connect! 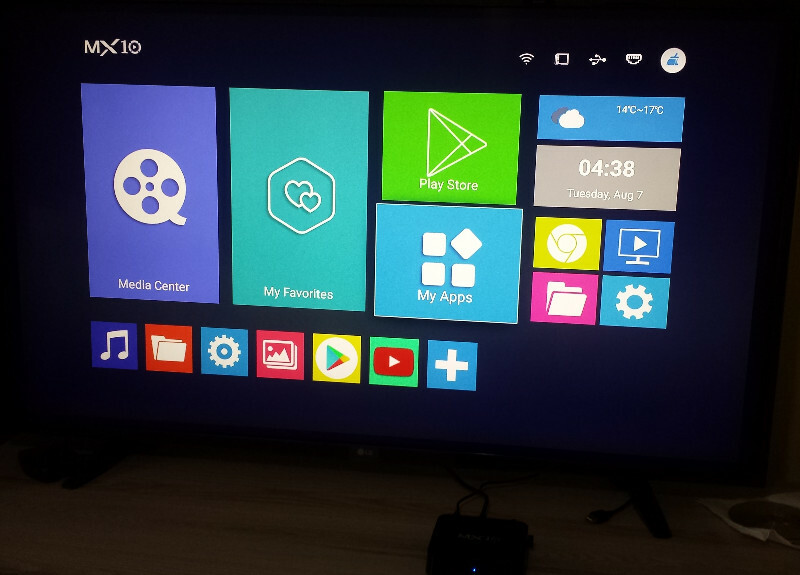 I can use it to search many channels. And the quality of frame is pretty good!